As 2016 quickly approaches, you may be considering what your resolutions are for the coming year. If you’ve become a mom for the first time this year, your life has probably changed a good deal along with your priorities. Here are a few ideas for New Year’s Resolutions that can apply to most new moms. 1) Get Connected: Despite the many joys of being a new mom, sometimes it can be somewhat isolating. Those first few months with a new baby you will likely find yourself at home a fair amount of the time catering to the ever present needs of your precious little one. Many moms even find themselves struggling with postpartum depression or anxiety which is not uncommon as your hormones adjust after pregnancy. Getting connected to other new moms in your community can be a lifesaver during this time period. Try attending a breastfeeding support group or checking out websites like Meetup.com for local mommy groups in your area. Connecting with other moms will not only get you out of the house but will give you a support network as you learn the ropes of being a new parent. 2) Put down your phone: As a society, we have become obsessed with our smart phones. From Facebook and Instagram, to email, shopping and games, there isn’t anything you can’t do on your iPhone. If you often find yourself mindlessly scrolling through your newsfeed while playing with your baby, or checking your email at stoplights, it may be time to begin practicing some self-discipline with your electronics. Although your little one may be too young to realize they don’t have your full attention, these are moments you won’t be able to get back someday while the internet will always be there to entertain you. 3) Prioritize self-care: Often one of the first things to go when you become a mom is remembering to take time out to care for yourself. Although having a baby is an around the clock job, it’s important to work together with your partner so that you can make time to take care of your own needs. Whether it’s taking a bubble bath or nap, sneaking out for a yoga class, going to the dentist or meeting a friend for lunch, your physical and emotional wellbeing should still be a priority when you have a baby. 4) Nurture your marriage: Finding time for your partner when you have a new baby can be challenging. You’re both exhausted from the sleep deprivation and you are trying to manage all of life’s responsibilities in addition to caring for your new babe. Making time for one another can often feel like the last thing you have time to add to your plate. It doesn’t have to be a date night to count towards this resolution. Think of little ways you can show each other you care in your everyday life. Leave a love note unexpectedly, plan an in-home date night, pick up a favorite treat to share after baby goes to bed, or offer simple words of affirmation to let your husband know you love him. Happy parents are the foundation for a happy family. 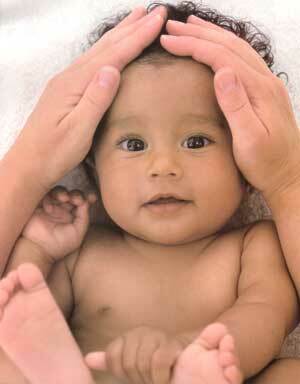 5) Get organized: Life can sometimes feel a little out of control after adding a new baby to the mix. Responsibilities and chores you were once always on top of may be piling up around you now despite your best efforts. Give yourself some grace to let things slide after a new baby but if it’s beginning to add stress to your life, it might be time to get organized. Whether it’s more efficiently delegating chores in your household, putting together a family budget spreadsheet or setting aside specific times each week to take care of necessary tasks, being more organized can help you and your family feel calmer amidst an eventful time of life. Whatever your New Year’s resolutions are this year, be sure to acknowledge all the remarkable things you’ve done in the past year. If you’ve become a mom for the first time, take a minute to realize the amazing journey your body has undergone through pregnancy and childbirth. Recognize the truly selfless nature of motherhood as you give of yourself every day and night to care for and nourish your baby. So as you take out a pen and paper (or your iPhone) to jot down those goals for the coming year, remember to make your own well-being a priority as well. Your family will function at its best when mom is happy and healthy. For all of your questions about pregnancy, natural birth or caring for a new baby, contact Health Foundations for a free consultation with a midwife and a tour of our Birth Center. Self-care can be a real challenge in the early postpartum and throughout early motherhood. With a little one needing care 24/7, a home to keep somewhere in the realm of clean, adult relationships to nourish, maybe other kids to care for, and often additional work inside or outside the home, it can be hard enough to get food in our bellies and count on more than one hand how much sleep we had the night before. But self-care is paramount, especially in the postpartum and first year of motherhood when we are often depleted and giving far more than we are receiving. Mamas need a full well of their own to keep giving as motherhood requires. They also need a full well because they deserve to BE well.